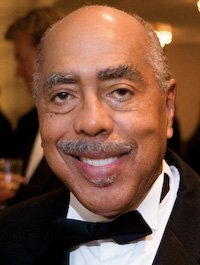 It has been announced today that Dr. Walter Massey has been named the new President of the School of the Art Institute of Chicago. This is a really hard article to write since it’s difficult to find much about Walter Massey in any kind of Art context and his business context is pretty basic as well. Walter Massey, who currently sits on the board of McDonald’s (which is headquartered in Chicago letsÂ remember), recently retired from the Bank of America board, presidentÂ emeritus of Morehouse College in Atlanta, has worked in the Unviersity of California system and at Brown University, former board member of BP, National Commission on Smoking and Public PolicyÂ & ran Argonne National Laboratory is more like a madlibs result for the executive level ofÂ Chicago Business/General Science Education world. It’s a little of this and a lot of that. The resume reads like aÂ interimÂ president who was a Chicago culture buff and said “yea, I’ll do it” when no one else would? I know I am not the only one that realizes there is 15% unemployment (even for executives) but there is no one elseÂ eligibleÂ for this position? Someone who is a tad more focused in areas of use to the SAIC? Someone other then a 72+ year old scientistÂ whoseÂ college administration background is “leading” his Alma mater (the self described “only all male historically black institution of higher learning in the United States”)Â for 12 years after he had retired from a career ofÂ Â Science advocacy? How is this even close to the needs of the SAIC and ArtÂ communityÂ in the 21st century other then he is a warm body that I am sure has aÂ Rolodex (a literal Rolodex I mean) full ofÂ moneyedÂ contacts. I know the Art world lives on nepotism and dresses it up as “vetting someone” but could you at least try to hide it more in the future cause it really reads poorly to a lot of people right now? More information has come out from, SAIC Chairman of the Board,Â Cary D. McMillanhas (who is also on the McDonald’s board)Â who by telephone from vacation in ItalyÂ told the Chicago Tribune that Walter Massey is aÂ interim President brought on to release pressure from Elissa Tenny, who has been appointed to the newly created position of SAIC provost and senior vice president of academic affairs. Nowhere in the press release that the School issued is the term Interim even mentioned or hinted at. I am sure Dr. Massey is a great person, wonderful guy and might via his connections or mereÂ presenceÂ help others feel more free to make the changes or growth they need but no one thought to mention that in the press release? That the Chairman needs to clarify while on vacation in Italy 7 hours ahead of Chicago for the Tribune’s late night post; the fact this in actualityÂ anÂ interimÂ position?